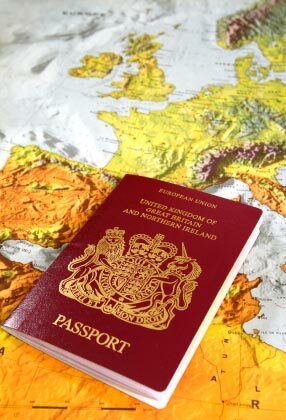 The Foreign & Commonwealth Office (FCO) has launched a new service designed to help British nationals living and travelling abroad. The free service is designed to ensure that anyone travelling to foreign shores is accounted for and not forgotten should anything happen in the destination during a stay. The FOC is encouraging anyone travelling abroad to use the new free service, even if they are only staying for a few days. To register for the LOCATE service travellers need to visit the FOC website and provide information about travel plans and some personal information. If a major catastrophe occurs, they will have an instant record of your details so they can make contact to find out if you are OK and provide advice. If family and friends need to get in touch with you whilst abroad the FCO can help them to find you. It only takes a few minutes to register your travel or residence information online and the local British Embassy will know you are coming. You do not need to contact them directly. You only need to register for the service once and then update your account when you make a new trip abroad or change your country of residence. You can even add planned trips abroad up to a year ahead. LOCATE improves the ability of the FCO to provide help in an emergency and reduce delay and worry in times of stress for family and friends at home. Once registered with the LOCATE service travellers details are treated in accordance with the Data Protection Act. In addition to registering travel details with LOCATE, travellers are also reminded to take out adequate travel insurance for their holiday. This could be annual multi trip insurance, family travel insurance or single trip travel insurance for a specific break. World First Travel Insurance offer a range of policies to suit everyone, from medical travel insurance for pre existing medical conditions to ski travel insurance. Travel insurance quotes can be provided over the phone by calling 0345 90 80 161 or direct from www.world-first.co.uk.